The DLR radio increases staff productivity, improve inventory management, and reduce shrinkage. 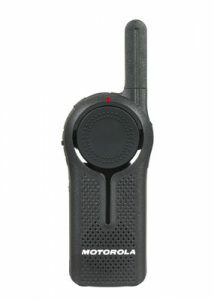 Motorola DLR two way radios are a cost effective solution which keeps you communicating with your team. Improve the customer experience of your retail stores by connecting your customers to your floor staff, instantly. With our retail call boxes, customers can call for assistance at the push of a button, and employees are alerted to the customer service request over the radio system. Whether they are in a fitting room or browsing around the store, the customer will know help is on the way. Use Motorola two way radios to communicate price checks to keep those Cashier lines moving. The use of Motorola two way radios will reduce wait time for customers as well as increasing their satisfaction. Use Motorola two way radios to better manage Stock Clerk and reduce situations where you’re losing sales because a product is in the store but not yet on the shelves. 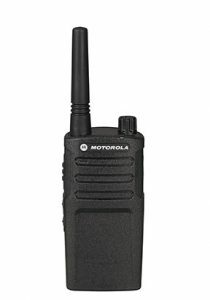 People know they can’t out run the radio and are less likely to shoplift when your employees are using Motorola two way radios. 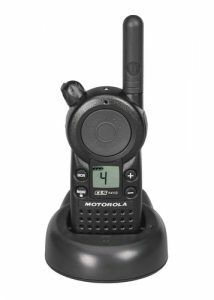 Use Motorola two way radios to train new Associates to do their jobs better. The CLS1413 two way radio delivers versatility of expanded communications by enhancing safety and security, improving response time and maximizing productivity. 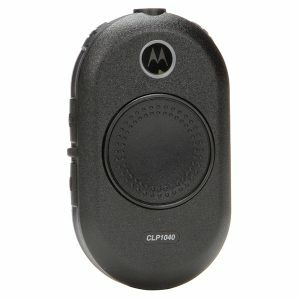 With little or no training required, Motorola CLS1413 two way radios are remarkably simple to use, making them ideal for high employee turnover industries.